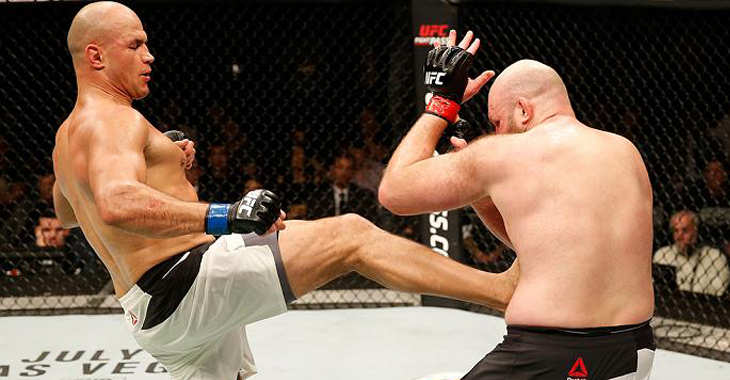 On April 10th of 2016, top ranked UFC heavyweight Ben Rothwell stepped into the Octagon for what many believed to be a #1 contender fight with former UFC heavyweight champion Junior dos Santos. ‘Big Ben’ was riding 4-fight win streak into the fight that saw him finish four straight fights. After serving a 9-month suspension for elevated testosterone levels, after a TKO win over Brandon Vera at UFC 164, Rothwell returned to the Octagon and TKOd Alistair Overeem in 2014. 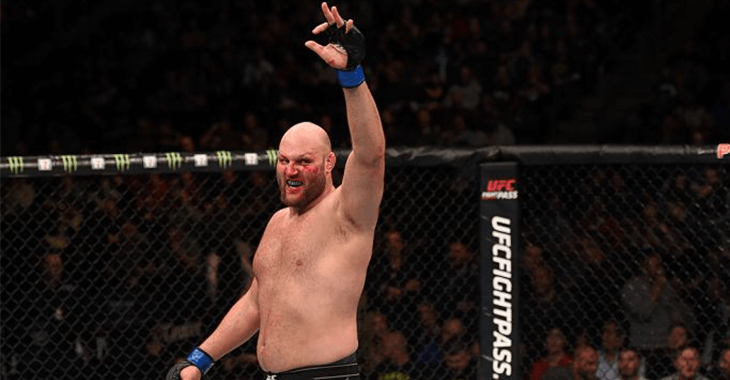 Rothwell, who was making waves in the heavyweight division, was away from the Octagon for nearly a year. When he returned, he picked up back to back submission wins over Matt Mitrione and Josh Barnett, becoming the first man to submit Josh Barnett. Unfortunately for ‘Big Ben’, he dropped a unanimous decision to Junior dos Santos. Following the loss, Rothwell looked to be on track to return to the Octagon at UFC 203 when he signed to fight former heavyweight champion Fabricio Werdum. Ultimately, a knee injury forced Rothwell out of the fight. “It was in training, and there was a little bit of time where I tried to do what therapies I could,” Rothwell said recently on The MMA Hour. “I had everybody around me, my support system, management and everybody just advised that surgery is what was needed. With the end of the year rapidly approaching, only time will tell when Rothwell returns to the Octagon. When he does, who do you think he should fight? Play matchmaker and give us your thoughts in the comments below PENN Nation!